Has a dual purpose lid, which allows the container to remain open for code situations or in a free-fall position for normal, one-handed operation. 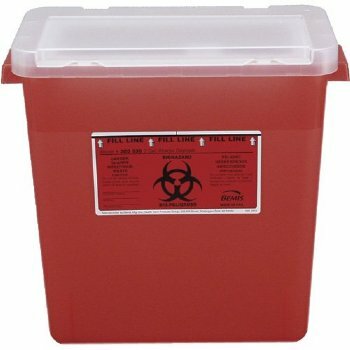 Lid features a needle key for safe removal of needles when necessary. Safely stands on table top or cart.